We are glad you decided to join us. We highly recommend that you attend our FREE intro class. We have a FREE Corps Fitness intro. class every 2nd and 4th Saturday of the month. The intro class is designed to help you become acclimated to our class format and style. Before coming, please follow the steps below. Print & Complete our Waiver. Be sure to initial and sign as needed. It is important to stay safe & healthy. Plan to be there 15 minutes prior to class starting. Please respect the group that was there on time by not showing up late. The instructor reserves the right to not permit you to participate if you miss important demonstrations that would jeopardize safety. Wear comfortable exercise apparel and footwear appropriate for running, jumping, and other dynamic movements. Make sure to bring water with you as the workouts can be intensive and it is important to stay hydrated. Say “Hi” to the other participants. 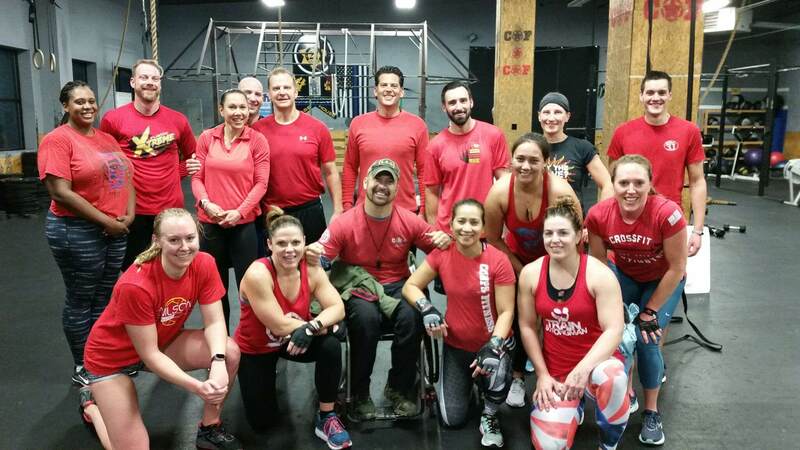 Don’t be surprised when veteran Corps Fitness CrossFit Berks members introduce themselves! Follow along with the group, listen to instructions, watch what experienced Corps Fitness Crossfit Berks members are doing. All participants in CORPSFITNESS classes recognize that exercise might be difficult and strenuous and that there could be dangers inherent in exercise for some individuals. Participants assume the risks associated with any and all activities and/or exercises. CORPSFITNESS provides High Intensity Conditioning classes. When you walk through the door, expect to engage in high heart rate, plyometric, ballistic, dynamic, full-body, athletic movements and exercises. You are strongly encouraged to attend the intro class prior to attending regular classes. In this way, you will learn the exercises, pace and format. You will feel better about attending regular classes and will not slow the pace for seasoned participants. Do not allow children to roam the exercise area during the workout, we have a designated area off the workout floor. Teenagers (ages 13-16) may participate in the CF classes accompanied by an adult. Master basic movements before trying complex exercises. Avoid heavy weights (load) that compromise form. We have various options available, Including punchcards, monthly passes, drop-ins & more. Attend a FREE Saturday Intro Class (2nd & 4th Saturday every month) and receive two free weeks of unlimited classes! Note: Cost per class of unlimited monthly passes start as low as $8.34 per class for members who attend at least 15 classes; attend 20 classes per month and pay $6.25 a class. Its simple - The more you come the less you pay per class! Youth unlimited monthly pass or 50% off all punchcard rates for ages 12-17 years. All members 18 years of age or older must pay adult rates. Note: All children must be accompanied by a parent if under 14. All youth must participate in the All Abilities or BASIC level classes until deemed proficient. Senior Citizen pricing is for those of us who have had the privilege of making it to 65 years young. Sponsored by The Kyle Pagerly Memorial Fund, Inc. 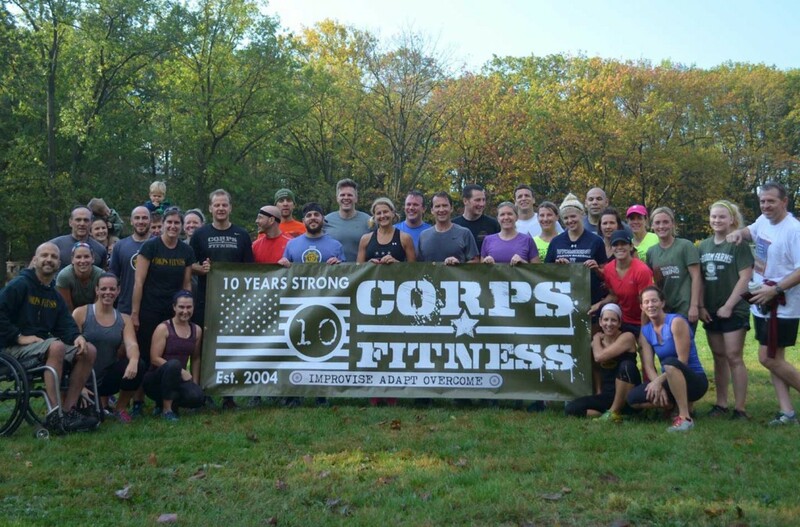 This program is offered to first responders in memory of fallen Berks County Sheriff Kyle Pagerly and was started through partnership between Alecia Pagerly, Kyle’s wife and Chris Kaag, owner of Corps Fitness CrossFit Berks and a former Marine Corps Sergeant. It gives the opportunity for all Berks County 1st responders, Law enforcement, fire, prison and ems to partake in the physical benefits for a low monthly cost of $25 to get in better shape, to ensure they can perform their job and protect their brothers and sisters. Your one-stop location for whole-person and family-oriented fitness. BLDG7 is home to Corps Fitness CrossFit Berks, IMABLE Foundation, BLDG 7 Yoga, and much more.